AKIPRESS.COM - Alina Zagitova has won gold in the women's ice skating, becoming the first Russian athlete to win the top medal at the Pyeongchang Winter Olympics, CNN reports. 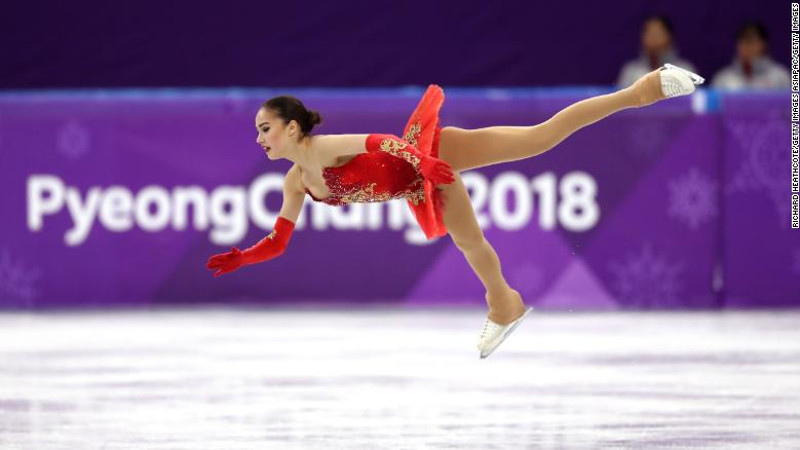 After a stunning showdown at the Gangneung Ice Arena, the 15-year-old took the top spot after her rival, 18-year-old fellow Russian Evgenia Medvedeva, just couldn't quite catch her. Both women scored 156.65 in the free skate, but Zagitova's 1.31 extra points in the short program on Wednesday put her over the edge, meaning Medvedeva had to settle for silver. Canada's Kaetlyn Osmond took the bronze medal, adding to her gold already won in the team competition.